This summer, a new handicap-accessible Charlevoix playground is being constructed to allow everyone access to play. The current playground is in the sand making it difficult for children in wheelchairs to get to the equipment and adults in wheelchairs to supervise their children. 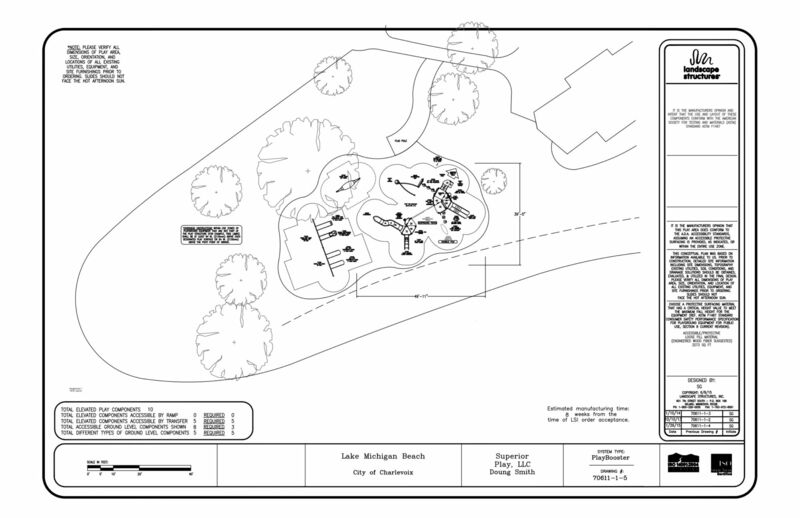 The new playground, which will be an estimated 3,300 square feet, will be built south of the concession building in the grassy area. According to Tom, if all goes according to schedule, construction will begin this spring and be finished by July 4. The city is currently in the process of bidding out the construction. The city is accepting donations for the playground. To make a donation, call the Charlevoix Recreation Department at 231.547.3253 or send a check to 210 State St., Charlevoix, 49720. Note that it’s toward the Lake Michigan playground. For more information, email Tom at tomk@cityofcharlevoix.org. To stay up-to-date on more great kids’ news, sign up for the free, monthly Kids Up North Newsletter!